Free scrapbook tags make for excellent embellishments on frugal layouts. 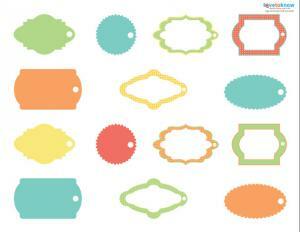 Scrapbook tags are circle, square, or rectangular embellishments used to accent a layout. They often have ribbon, embroidery floss, or specialty fibers tied through the top hole to add extra interest to the design. To get the digital versions with transparency, click on a link below and when the image loads, right click on it and save it to your hard drive. When you're scrapbooking on a budget, creativity is essential. 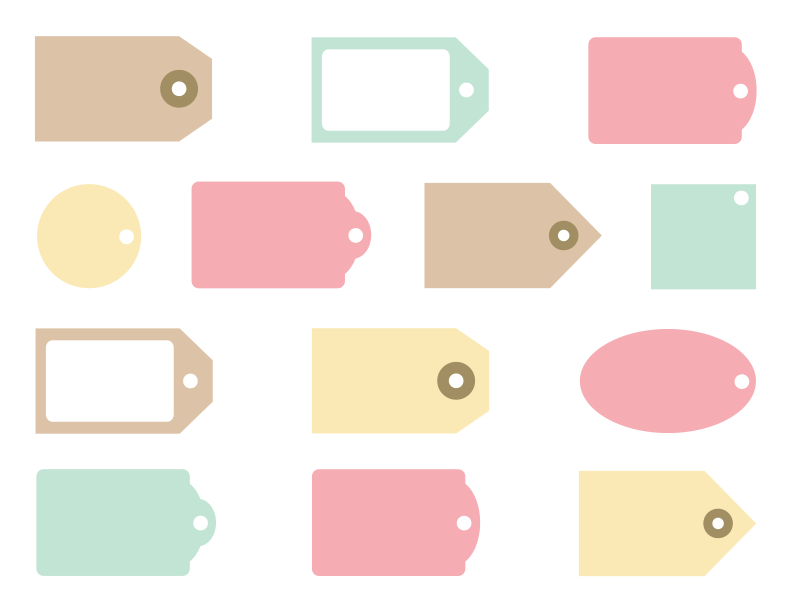 If you're looking for free scrapbook tags, you have several different options to consider. However, many of these techniques for making tags require that you look at ordinary materials in an unexpected way. Don't throw away tiny bits of cardstock, patterned paper, and leftover stickers when you're making a scrapbook layout. Put all of these items into a pretty basket, then pull them out to make your own mini-collages that can be used as scrapbook tags. This is a great way to experiment with techniques such as stamping, standing, tearing, or inking without committing to a long project. If you don't like the result, you can throw the item away. If you do like your creation, you'll have a special tag to include on your next scrapbook layout. Have you ever wondered what you should do with all those greeting cards you receive that are just too pretty to throw away? Consider cutting them into tag embellishments for your scrapbook layouts. This works especially well on pages that commemorate weddings, birthdays, and anniversaries; your embellishments will have an extra meaning if they are made from the cards you've received for the occasion. The next time you purchase a new outfit, take a close look at the clothing tags. 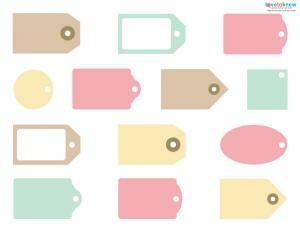 These small tags often feature bright graphics that would be right at home on a scrapbook layout. Gap, Old Navy, and Target are known for their visually appealing designs, although you never know where you might stumble across the perfect embellishment for your next project! Paint chips featuring samples of coordinating colors can easily be repurposed as free scrapbook tags. Add a bit of journaling, stamp a design onto one of the squares, or embellish the chip with some stickers to make a unique tag for your scrapbook layout. 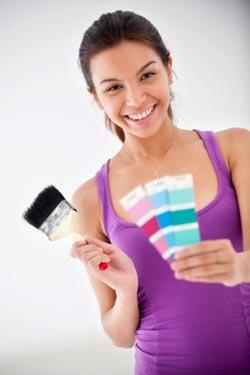 In some cases, you can even use the name of the paint color as a fun title for your page. Laminate countertop samples, like paint chips, are a great base for scrapbook tags. They can be decorated with stickers, rub-ons, or heat embossed images. They will add extra bulk to your page, however, so you'll want to make sure you're not using them on every layout in your album. One of the many reasons that people are attracted to digital scrapbooking is that the Internet offers a plethora of digital scrapbook freebies. You don't need to create exclusively digital pages in order to take advantage of these embellishments, however. 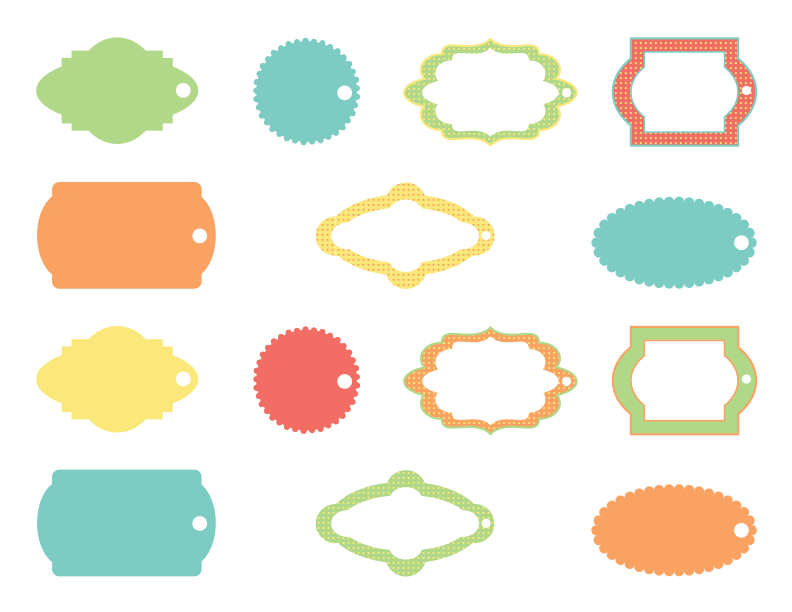 Simply print your favorite designs onto cardstock, then cut them out to add to your traditional scrapbook layout as desired. To protect your precious memories, don't add tags made from paint chips, greeting cards, or other non-traditional materials to scrapbook layouts containing irreplaceable photos. Unlike the scrapbook supplies you purchase in a craft store, these items are not acid-free and archival safe. Even if you're working with copies of photos, you should try to keep any non-traditional embellishments away from the pictures themselves in order to minimize the risk of damaging your prints.